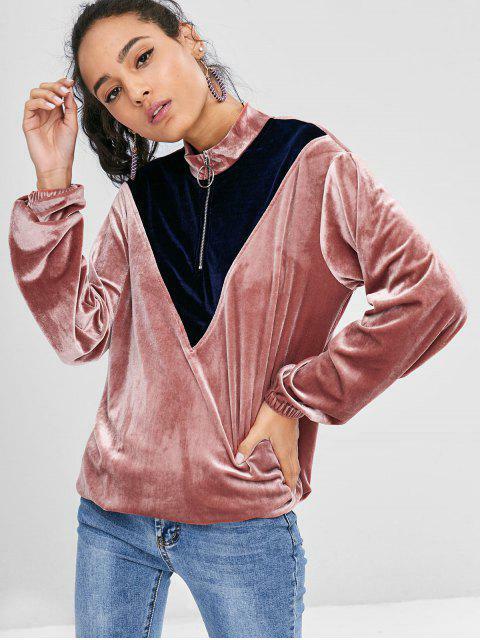 [50% OFF] 2019 Two Tone Velvet Sweatshirt In KHAKI ROSE | ZAFUL ..
Super fun and cool, this stand-collar pullover sweatshirt is packed with a detailed zip-up closure and the contrasting, visible two-tone design along the front. 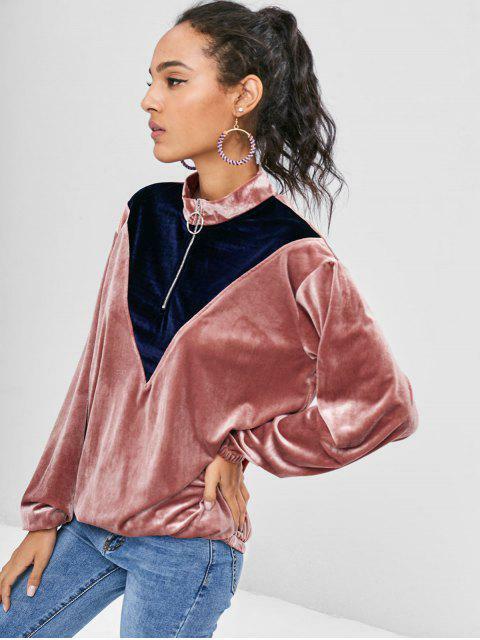 It's the perfect fall-fashion piece if we've ever seen one, just pair it with the silky skirts and sneakers to be a modern girl. 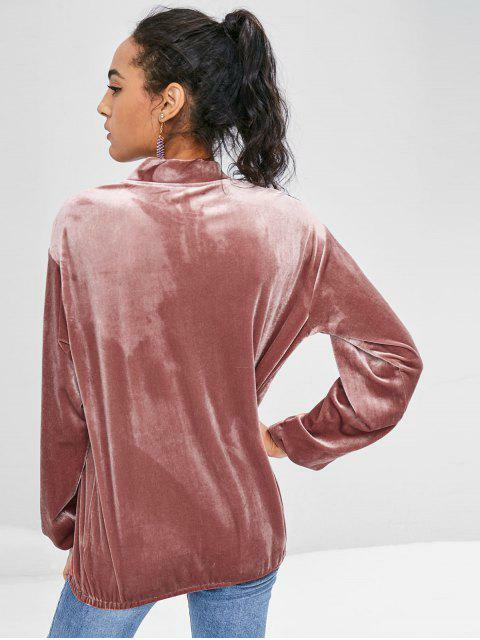 Elastic hem an cuffs.